For the spring I decided to make a flannel set to go along with Up, Down & Around by Katherine Ayres. 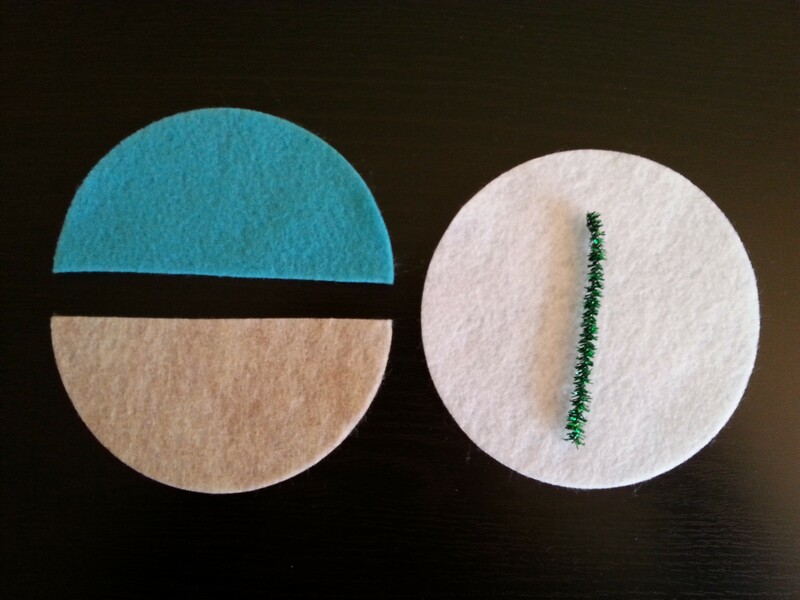 I used my die cut machine to cut out 4″ blue circles (to represent the sky) and 4″ tan circles (to represent soil). 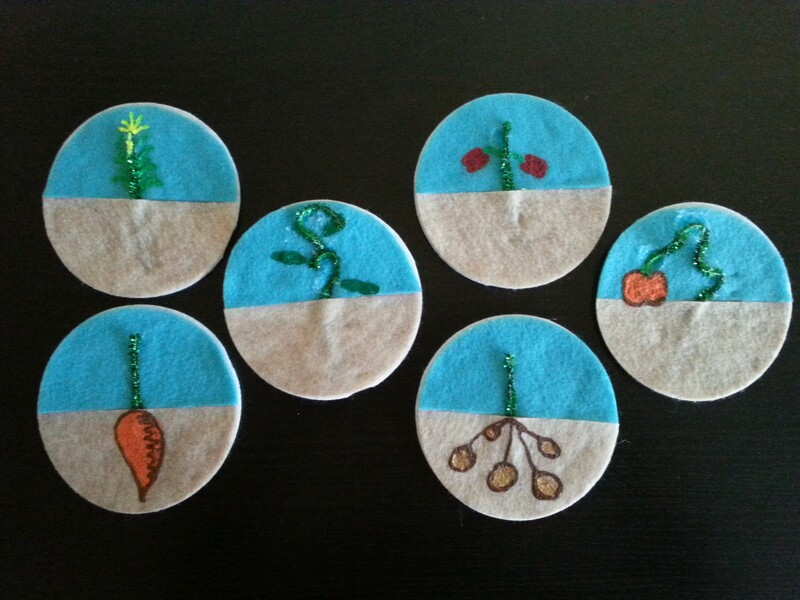 I used glittery green pipe cleaners to represent the vegetables growing up or out of the earth. 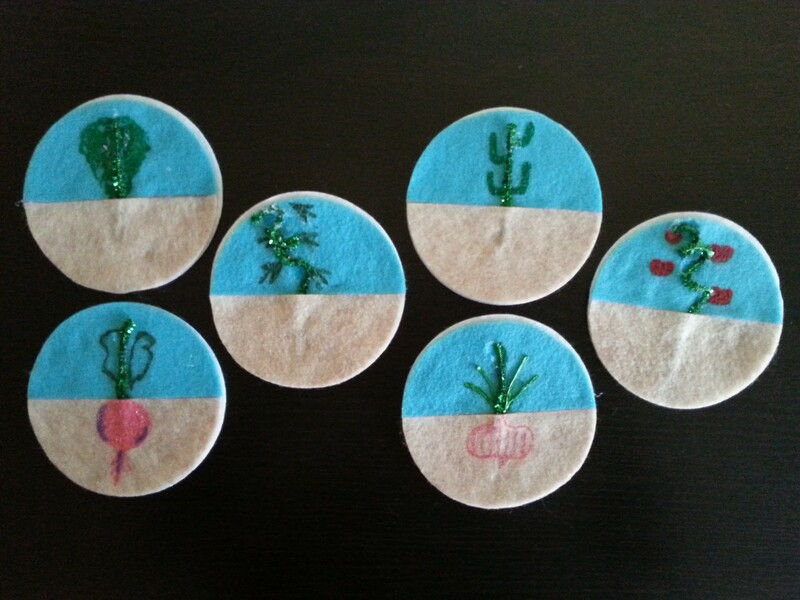 I hot glued them onto 4″ white circles for sturdiness. 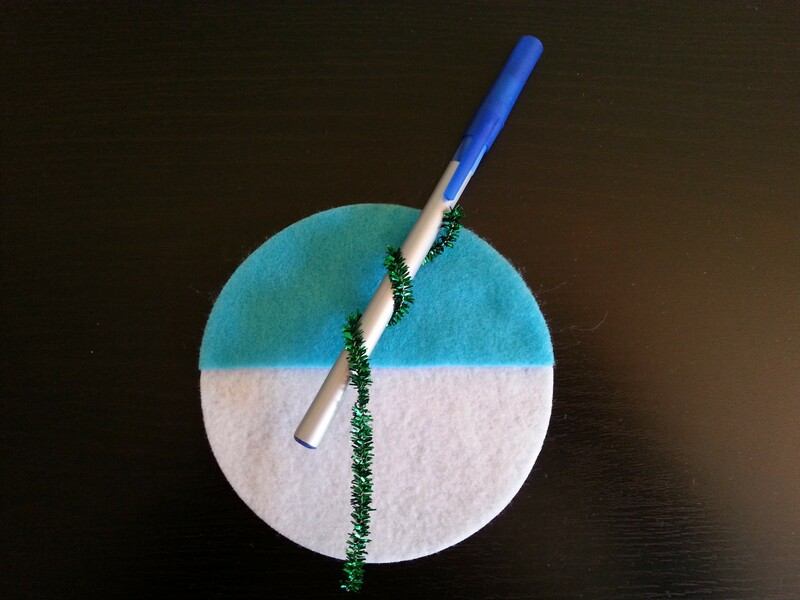 These are the pieces you’ll need for each veggie: 1 4″ circle, 1/4 of a glittery green pipe cleaner, 1/2 tan 4″ circle, 1/2 blue 4″ circle. Use a pen to curl the “around” veggies. What better way to learn about the food cycle?! For more flannel ideas check out Ms. Kelly at the Library. She’s hosting Flannel Friday this week! 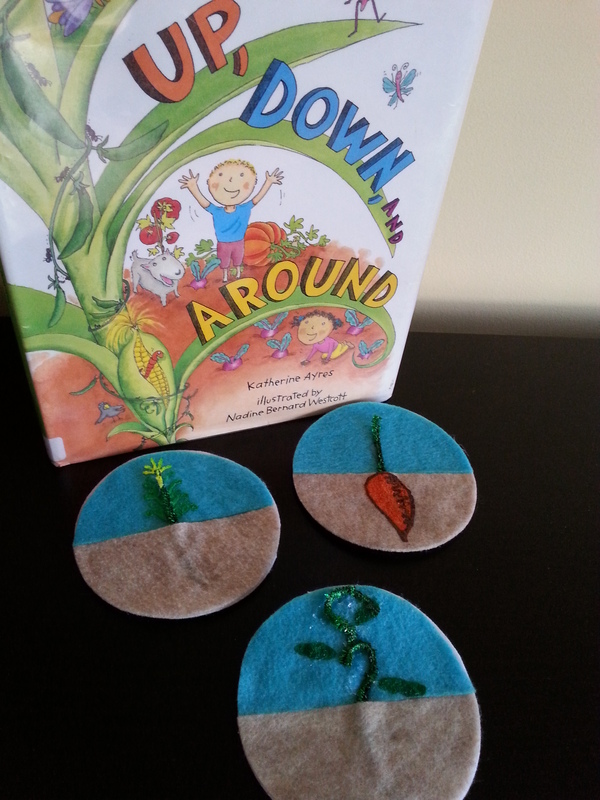 This entry was posted on March 31, 2016 by mrsshaia in Flannel Friday, Flannel Stories, Spring storytime and tagged Flannel Friday, Flannel Stories, spring storytime.